Three organizers of Gym Festivals in Europe started up a common network to share their information about festivals with the support of ISCA called EGF (European Gym Festival). The aim is to promote the events on a common platform and to increase the number of foreign participants. What is the aim of EGF? Conferences, Workshops and Health & Wellness Programs. In a first step EGF aims to establish and to promote an European Calendar of Gym Festivals and to support the development of general gymnastics. For further information about European Gymnastics Festival Network, please contact Jörg Hoppenkamps at Joerg.Hoppenkamps@stb.de. Gimnastrada XII International “EXTREMADURA 2011” is a show aimed at promoting fitness and cultural exchange through a day of display of different patterns and trends in gymnastics. This event will be held on the 2nd of April, 2011, from 10:00 until 21:30 in the multipurpose hall, located in front of the auditorium of Cáceres, Spain. Gimnastrada XII International “EXTREMADURA 2011”, not just a sporting event, it is the second most important Gymnastics Festival in Spain, where the socio-cultural exchange is a factor that further enriches the meeting. Please note that that the admission is free. 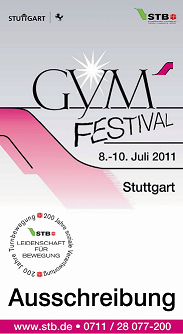 This event will take place at the 08.-10. of July 2011 in Stuttgart. 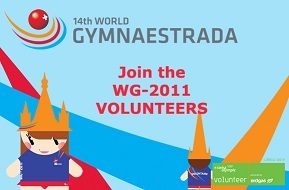 This event will take place at the 10.-16. of July 2011. The island of Gran Canaria celebrated the 51st International Gym Festival “BLUME - GRAN CANARIA” from November 24th until December 2nd, 2011, filling of colors and gymnastics in 34 Sports Festivals in 6 municipalities of the island of Gran Canaria. The edition 51 congregates more than 5.200 sportswomen and men of 192 national groups and 40 foreigners. More than 720 sportswomen and men are coming from 12 countries and principally Central European, Scandinavian and British countries. All islands forming the Canary Archipel are participating in this 51 edition, with the exception of the isle El Hierro, to whom we send our thoughts in these special moments with the actual situation. For further information, click here>>. This event will take place at the 17th-20th of May 2012 in Heilbronn. This festival will take place from the 1st to the 6st of July 2012 in Riccione, Italy. 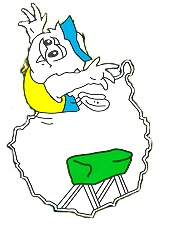 The Festival del Sole is the biggest international gymnastics exhibition in the Mediterranean area. For a whole week the city of Riccione is transformed in a huge stage where more than 3000 athletes from around the world perform at their best. Running, jumping, dancing: the festival offers the chance for athletes to show their passion for gymnastics and being together! From the 23rd of November to the 1st of December 2012 the Blume Festival will take place in Gran Canaria, Spain, for the 51st time. Like previous festivals, we will not organise a competition, but wish only to share the message of these days of gymnastics with others:"Enjoying the fascination of gymnastics together". We would like to remind you that the temperature in Gran Canaria in winter is about 20/25 degrees. The programme includes outdoor sports activities in traditional places or beaches of Gran Canaria.